Update: It appears that CafePress has had to take down most of its Hunger Games shirts. For now it seems like the easiest place to get them is through Amazon. Click here to see their selection. We will update the site as we find more shirts. Looking for Hunger Games shirts? We’ve been searching all over the Internet to find them! Here are some of our favorite that we have found so far. 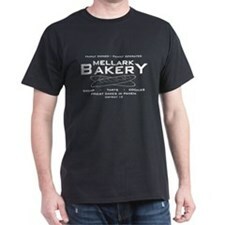 Cafe Press has a great selection of Hunger Games shirts that you can personalize. You can get different styles and sizes of shirts and even add your own text to some of them. They have everything from “Team Peeta” and “Team Katniss” shirts to “District 13″ to images of the Mockingjay. Click to see all of the Hunger Games shirts on Cafepress.